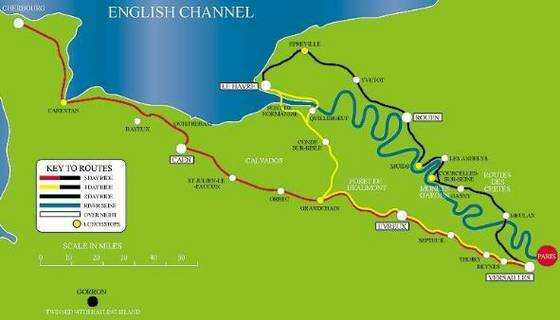 The outward journey was via Cherbourg for the first time with a first day ride down the Cherbourg peninsular alongside the famous Utah Beach. In the afternoon the Ride stopped at Bayeux where the Sussex Brewery Team were wrongly accused of stealing the tapestry! F or the all the success in 2001 it was undoubtedly tinged with sadness. The Ride lost two great ride characters in Steve Munt and Alan Rae and then Ride nurse / support regular Judy Dyer died of cancer on Christmas Day.